Selston turned back the clock at the weekend – and for local people came a chance of stardom. 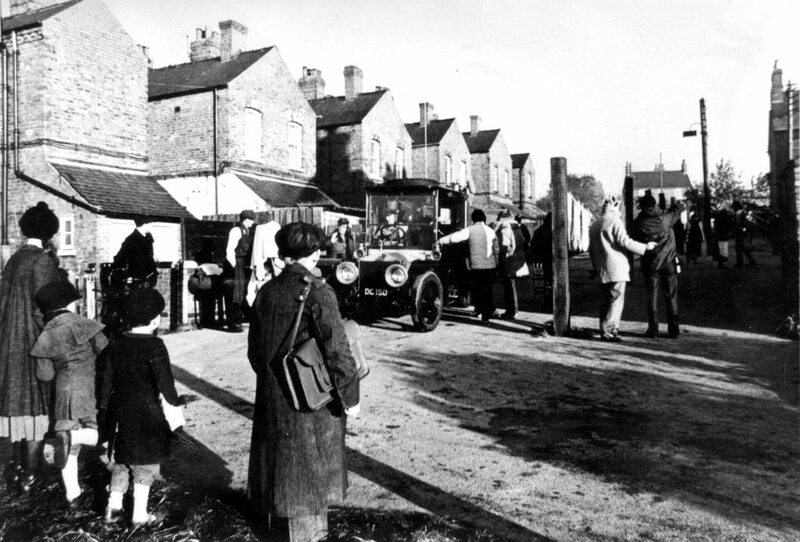 Camera crews moved into the village to shoot scenes for the feature film The Return of the Soldier, set during the First World War. And locals had the opportunity of appearing alongside star names such as Glenda Jackson, Alan Bates, Ann-Margret and Julie Christie. 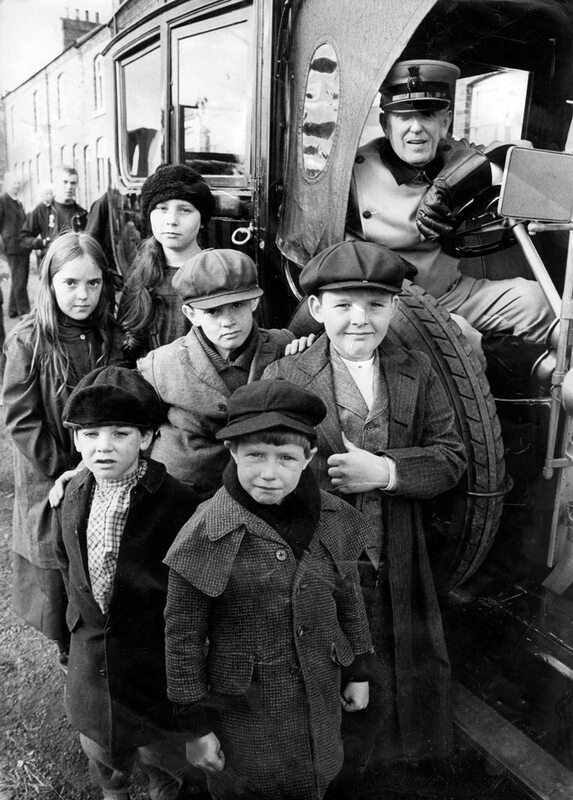 Twenty-five extras – many of them children – were chosen from a number of hopefuls to appear in the film. 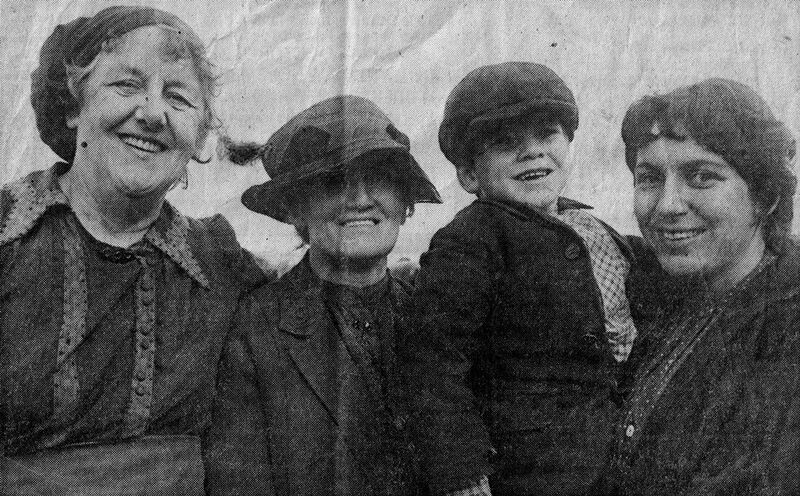 They included 59-year-old Mrs. Vera Ward of Nottingham Road, Selston, and her grandson Stephen (10), and Mrs. Nora Wain (41) and her daughter Michelle (10), also of Nottingham Road. Said Mrs Ward “I’d never done any acting since I was at school. I really enjoyed it – it was quite an experience.” Mrs.Wain agreed “We had a wonderful time, and the film company were very good to us.” The filming – on Thursday and Friday of last week – took place at The Crescent at Selston, a row of terraced houses, and on the golf course at the rear. A spokesman for the company explained “We needed a row of terraced houses from the World War One period which had not been spoiled or altered.” “This must be one of very few in the whole country.” She praised the local extras who had taken part in the filming. “They were all very good.” she said. The Return of the Soldier is based on the novel by Rebecca West. The film, directed by Alan Bridges, is due to be released sometime next year. Producers are Ann Skinner and Simon Relph, and Barry R. Cooper, of Los Angeles, is Executive Producer. As well as the big-name actors and actresses who took part in the Selston filming, there was another star – a gleaming Rolls-Royce, the arrival of which caused quite a stir. “Film making is very boring. It’s all hanging around and doing nothing, and then it’s all over in two minutes.” The on-set photographer for ‘Return of the Soldier’ described in a few seconds what happened in two days when the movies came to Selston-and two minutes will be all the accessible celluloid to come out of it. But the fascination that is film and the pull of names like Glenda Jackson, Alan Bates, Ann Margret and Frank Finlay, made The Crescent a special place to be despite the tedium. The names certainly did nothing themselves because they didn’t have to. The majority of the acting will take place in London studios in the remaining six weeks of shooting – all Selston was being used for was to present a brief view of an outside for people to come in from. Based on the Rebecca West novel, the story concerns and officer (Alan Bates) in the First World War shell shocked into returning mentally to his life of 15 years before and recalling his love for a young girl called Margaret (Glenda Jackson). He cannot remember his wife (to be played by Julie Christie), and in order to attempt a cure his sister Jenny (Ann-Margret) visits Margaret to take her to him. 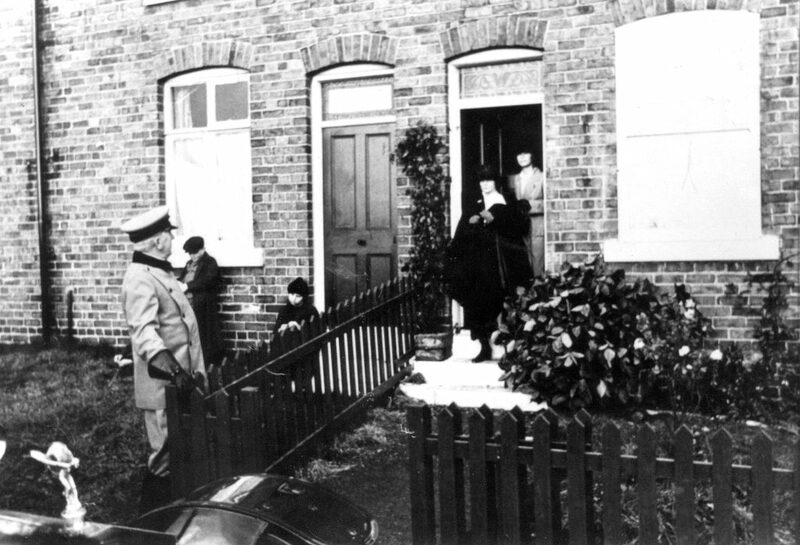 It is the scene of the affluent sister’s arrival in a chauffeur driven Rolls-Royce that was shot at Selston. 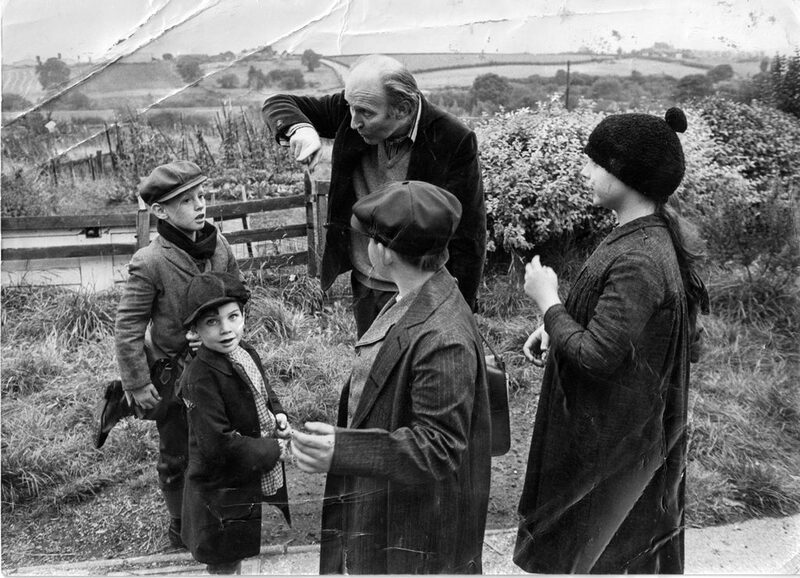 Selston was chosen as nowhere else could be found which had a terraced row in such an unspoilt state, and director Alan Bridges knew the area from previous work. The Crescent was successfully (and perhaps disturbingly easily) transformed to look like 1916 by little more than taking down the television aerials (compensating the owners, of course) and hiding the cars. The distance not only in miles but in outlook was shown when one of the crew asked if they had modern bathrooms up here. 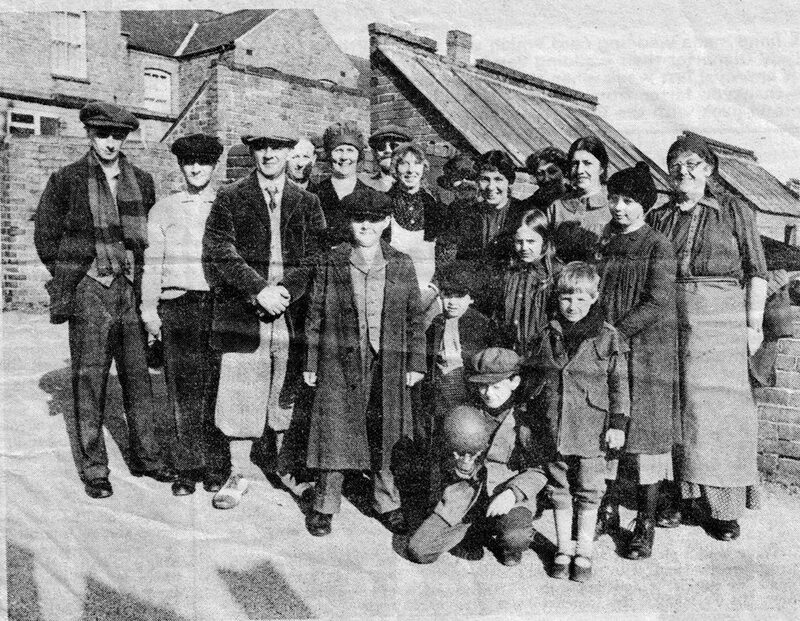 The previous Saturday around 20 extras and a handful of children were selected at Parish Hall auditions, and for £20 a day they would stand silent as neighbours or tradesmen or even golfers using the adjacent pitch and putt course. In comparison the crew of technicians, drivers, make-up artists etc. numbered around 80, and with first class Nottingham hotel bills to pay in addition to wages and all the expense that goes into the unreality business, it was apparent that although the cast might not be of thousands, the cost certainly was. 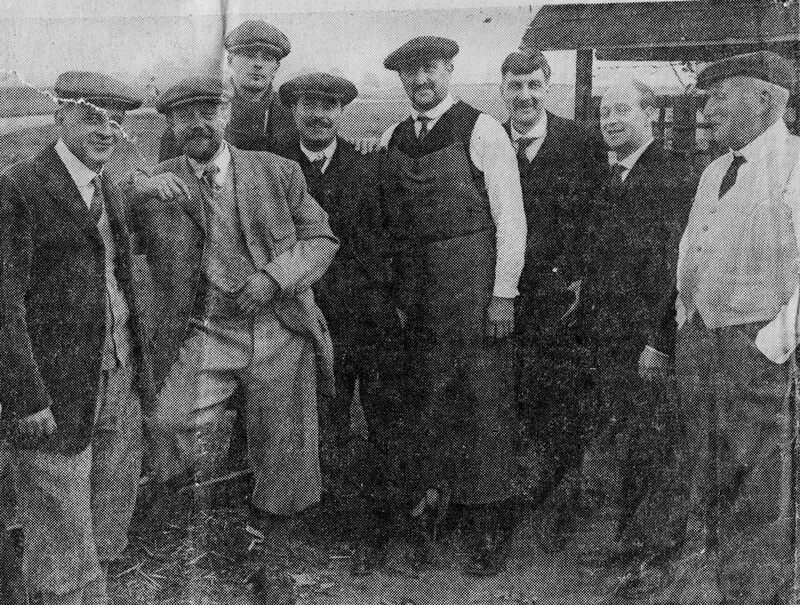 The first day of filming. On set is American writer Joan Goodman, known for contributions to the Los Angeles Times over there and the Observer and The Times over here. She’s putting together work on the making of a movie to be published at the same time as the release – in effect she’s writing the book of the film of the book. She is full of praise for Glenda Jackson: “She really is extraordinary, so natural.” But there was little for the undoubted, great actress to pour an oscar winning performance into … she asked Frank Finlay if he wanted an egg. All Finlay did apart from that scene was scare away a few pigeons before flying away himself in a mid afternoon dash for a slightly more demanding for a slightly more demanding role in ‘Amadeus’ in London’s West End at 7pm. He was back on set first thing next morning. All the action (or lack of it) surrounds Mariposa, Ladysmith Row, in truth 49 Crescent Road, the home of Mr. and Mrs. Ken Price. 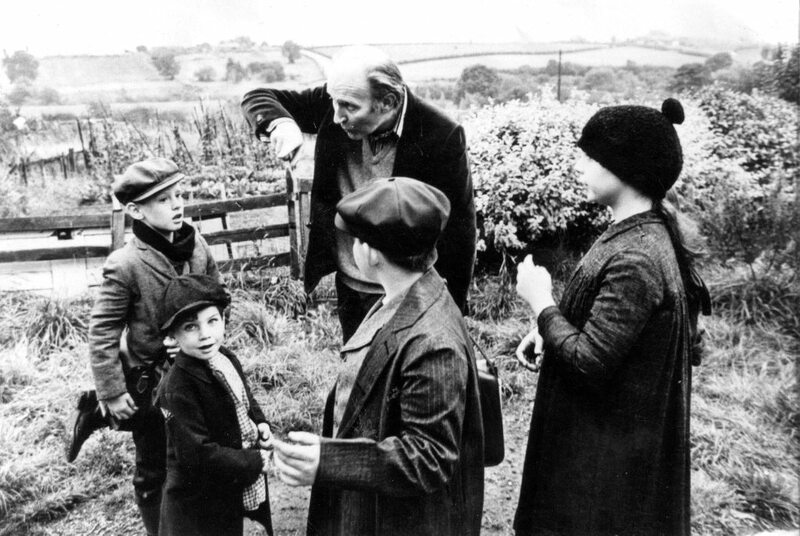 Like all the locals on set the intrusion of the rich and famous did not alter his character one iota, even if Glenda Jackson does use your front room, even if Frank Finlay does dig your garden and frighten pigeons onto your roof. “Sometimes you think it’s a lot of bother, but the wife thinks a lot of it,” he said. “It’s brought a bit of life into The Crescent. Frank Finlay’s a nice man. We shook hands and he had a word. It’s something different …it’s all right, so long as they put it back how they found it.” The Prices home was redecorated inside, the garden changed around to suit the camera, all to be replaced the following week. The amount of compensation was spoke of in terms of up to £2,000; in fact, said Mrs Price, it was £250. The hours of waiting she was able to spend in the company of the famous. “They were in the house. We thought it was great, we really enjoyed it.” She was one of the few who got close to the stars. Apart from the odd autograph hunter their privacy and stature were respected. It was recognised they needed to be kept away from others and closetted in cotton wool. Alan Bates turns up for his scene, leaves, and Selston’s brush with stardom is over. People get out of 1916 clothes and into 1980’s cars. The Crescent gets back its aerials and real doors, the horses that pulled period carts have gone. Like all the crew on set, press officer Joanna Campling has been as friendly and helpful as she has been allowed to be, despite reservations about the number of spectators that arrived she was full of praise for the locals, particularly the extras. “They were fine, they’ve been terrific.” Their entry into the movies has been brief, their roles minor in themselves but vital in creating the necessary atmosphere. They enjoyed themselves, even if the thrill would probably only last as long as their £40. The street is the same, though the nameplate has changed. The sign for ‘The Crescent’ was replaced by this.